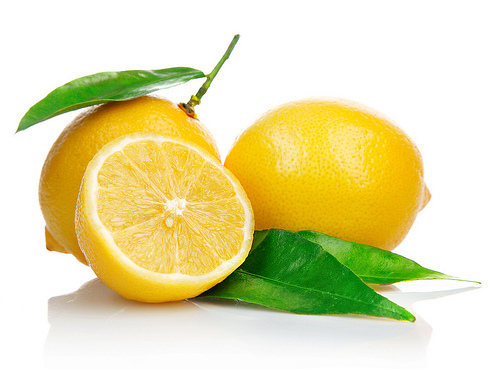 Lemon juice will fight acne-causing bacteria. It may not be as good as a prescribed medication given to you by your doctor, but it's effective. Avoid prolonged exposure to the sun while using lemon juice to lighten your skin. Prolonged sunlight is bad for your acne scars as it is, but with lemon juice on your skin, it's particularly bad. Lemon juice will take time to work. Give it a week before you dismiss it and opt for another blemish-reduction treatment (of which there are many). It often takes a full month of application before significant results obtain. Moisture helps scars heal, so be sure to moisturize. Try to avoid lotions that aren't listed as non-comedogenic (which can cause blackheads). Excessive sun exposure without using SPF can make scars darker and more permanent. Keep up with a regular skincare routine, in spite of the scars. Cleanse twice daily and moisturize at least before bed. Avoid using a lot of exfoliants, as these can irritate the scars even more. Vitamin E: You may have heard that applying topical vitamin E to a scar will help it heal faster. But according to a study from researchers at the University of Miami, applying the nutrient directly onto a scar can actually hinder its healing. In the study, vitamin E had no effect (or made matters worse) for 90% of the patients, and 33% who used topical vitamin E developed a contact dermatitis. Avoid Picking and Squeezing: Scars, which are made mainly of collagen (a protein fiber normally found in the skin's second layer), are the body's way of repairing itself. Acne scars are typically indented because of collagen loss from intense inflammation, says Alster. Picking leads to further inflammation and injury of the skin, which adds to the skin’s discoloration and scarring. Squeezing or trying to pop a pimple causes pus and bacteria to filter deeper into the skin, resulting in more collagen damage, notes Ron Moy, MD, professor of dermatology at UCLA.